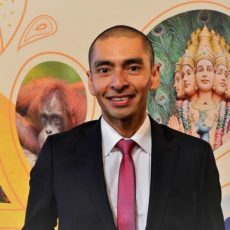 Jonathon Day, Associate Professor of the School of Hospitality and Tourism Management at Purdue University in the United States, in this interview discusses tourism sustainability trends and challenges, the potential of destination branding and the future of sustainable tourism research. 3 pieces of advice for emerging tourism researchers. Jonathon, do you remember what inspired you to focus your academic career on sustainable tourism? When was the first time you heard about “sustainability”? It has always been with me – although it took me a while to get to the full triple-bottom-line. Growing up in Australia I was blessed to be able to enjoy nature in many ways. From my home in Brisbane I was able to take weekend trips to the rainforest or the beach – sometimes both the same weekend. I grew up understanding the special natural wonders of our country and the importance of protecting the environment. In my work at Tourism Queensland, I came to appreciate the challenges of small tourism organizations marketing – particularly internationally. Helping business, especially smaller businesses to enter the North American market, was one of my favorite things about the work. It was later that social justice issues came on my radar. Bringing the potential of tourism to positively impact these issues – social, environmental and economic – came as a natural progression for me. As a world-renown researcher and teacher of tourism and sustainability, has your view on the topic changed since you first got involved? I really found my calling when I joined the tourism industry. I consider myself very lucky to have spent time in tourism. That said – these days I have a more nuanced view of tourism than I had when I first joined the industry. Like any tool, tourism can be used positively or negatively – I am now more aware of the failures in the system than I was. Nevertheless – I think that we have a great body of knowledge about what needs to be done to achieve positive outcomes. And I remain optimistic that the system is improving. But… there is still a lot of work to be done. Based on your experience, what are the main challenges for sustainability at a destination level in today’s market? There are a couple of challenges that are on my mind these days. I think there are some big picture issues that we need to deal with to achieve the best possible outcomes. First, I think that it is important that we take a “systems view” of tourism. We often talk about destinations like they are corporations – where there is someone in charge, and everyone must follow that leader. Destinations don’t work like that. They are not hierarchical – they are networks. The best destinations recognize this and have teams of motivated people working toward shared goals. Shared leadership, agile strategy and collaboration: those are the ideas that really resonate when getting things done in groups and systems. The second challenge is a system issue too. We need to recognize that the tourism system involves many more actors than just tourism companies. We need to stop taking tourism for granted. Bigger isn’t always better. We need to truly behave in a way that proves we recognize that tourism takes place with the consent of the destination community. Tourism officials sometimes say they are working to improve the quality of life of their residents, but it is often from a perspective of “I know what’s good for you.” Few destinations track resident sentiment. This summer, the story of overtourism has surfaced and the discussion seems to have taken many by surprise! That surprise shouldn’t happen – we need to be tracking our stakeholder’s issues and responding to them. We – tourism – need to be engaged with our communities. I am also very interested in how we can effectively improve traveler behavior. I am excited that more organizations are designing for sustainability. It is one thing to say people “should” do this or “should do that” (and I believe that they should!) But just saying they should change, without enabling the change, won’t lead to the best outcomes. People are complex. Even when they really want to do the right thing, they don’t. “Nudge” policies, that make it easy to do the right thing can be very useful in achieving better outcomes. Where do you see the priorities for destinations now in terms of sustainability? And which topics not yet broadly discussed should destinations prepare for? Destinations need to realise that sustainability is mission critical. DMOs, particularly here in the United States are going through a significant change. As the marketplace has changed, DMOs have recognized they need to take an active role in the delivery of the destination experience. It is not sufficient to produce a great promotional campaign if the product doesn’t live up to the messaging. It’s not surprising really – your perception of the Apple brand is based on the user experience more than any ads you’ve seen. Why should it be different for destinations? As a result, DMOs are adopting product and destination development strategies. Although they have started to adopt product development – there has been little said about incorporating sustainable tourism principles into their development plans. There are some great exceptions. Both Oregon and Lake Placid work to align destination development with community needs and aspirations. As I mentioned – big isn’t always better. There is a great opportunity for DMOs to adopt sustainability as they become more involved in place building. DMOs also need to recognize their role in the destination system. They can be important catalysts and facilitators. The best DMOs – and the best leaders – help their teams become better. It requires a specific set of skills to be a great collaborator and we need to build destination members capacity to do it. DMOs can help lead this process – and make the whole team stronger. 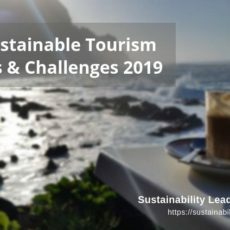 In your view, are international events and organizations like UNWTO, GSTC and the 2017 UN Year of Sustainable Tourism helping to overcome the challenges of sustainability in tourism? Absolutely. There is a marketing saying that “you’ll get sick of your campaign long before your market does”. If there is ever a moment that we feel we have “told our story” we need to remember that saying. There are still a lot of people that need to get the message about adopting sustainable tourism principles. Each day these organizations are promoting the benefits of sustainable tourism – it is very important work. The IYSTD is an important platform and a great way to add a new dimension to the sustainable tourism conversation. Shining a spotlight on sustainable tourism for development stimulates new thinking and prompts action that will endure long after 2017 is in the history books. Where do you think the future of sustainable tourism research is leading? Are there any topics you personally think that academic research in sustainable tourism should be more engaged with? Sustainable tourism research covers a broad range of topics. There is some great work being done on marketing of sustainability by Xavier Font and his colleagues. I think that some of the big picture work that is being done in tourism, the transition from the oil economy, and climate change by Susanne Becken and the team at Griffith University is very important. 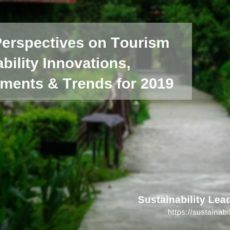 I am happy to see that sustainable tourism is moving from being a type of tourism (like ecotourism or agritourism) and being described as a set of principles. I think the sustainable tourism movement has much in common with the quality movement of the 1980s. Sustainability needs to be completely embedded in tourism – not a small part of it. There is as much research that can be done to support effective sustainability in cities as there is in ecotourism. I am becoming increasingly interested in “the how” as opposed to “the what”. We are getting a pretty good handle on what needs to be done – I think important insights will come from looking at how we get it done. Whether that is looking at individual behaviors or group dynamics – understanding how we can effectively encourage behaviors that lead to sustainable outcomes is important work. Having worked for leading destination Tourism Boards such as Tourism Queensland, can you explain us in a nutshell how destination branding can support the sustainable development of a destination? Are there any aspects that you consider are crucial for its success? Destination branding and sustainability are both strategic activities that build and maintain important community assets. They are mutually supportive activities. Simply put, destination branding is building the long-term reputation of the destination. That reputation, that destination brand, is built in the user experience of the destination. If the destination is not paying attention to the triple bottom line – making sure the environment is protected, the culture is vibrant and people and businesses thriving – it will not maintain a good reputation or a strong brand. Throughout your distinguished career, have there been any specific organizations or persons that have served you as role models or source of inspiration? I am a great believer in the work of the Global Sustainable Tourism Council. Randy Durband and the team at GSTC understand that even small organizations can make a big impact. GSTC thinks big and makes a difference. Earthcheck is an organization that is making a global impact. They really walk the talk. They have taken strong research and applied it in ways that help people achieve their objectives. I am always really inspired by social entrepreneurs; people that see a problem and develop entrepreneurial ways to address it. I have also been inspired by the work of Gavin Bate and Adventure Alternative (the tour company) and its sister charity, Moving Mountains in Nepal. Gavin thinks about positive, long-term change for not just months or years, but generations. On a smaller scale, Samrat Katwel of the Hands On institute is doing great work using community-based tourism to overcome prejudice in Untouchable communities in Nepal. 3 pieces of advice for emerging researchers interested in tourism sustainability? Impact is more than how many journal articles you have written. Work to ensure that your research reaches people that need it, in ways they can use it. Think big – but go deep. Remain curious – and enjoy. I am really excited about the work we are doing with travelcarecode.org. I am working with a group of academics and marketing professionals on this project, which is designed to promote responsible travel. The program includes both consumer-focussed marketing messages and support materials to assist tourism businesses and DMOs to promote responsible travel through their own marketing efforts. The project has the added benefit of providing students with real world cause-marketing experience. Connect with Jonathon Day via LinkedIn or visit his blog. 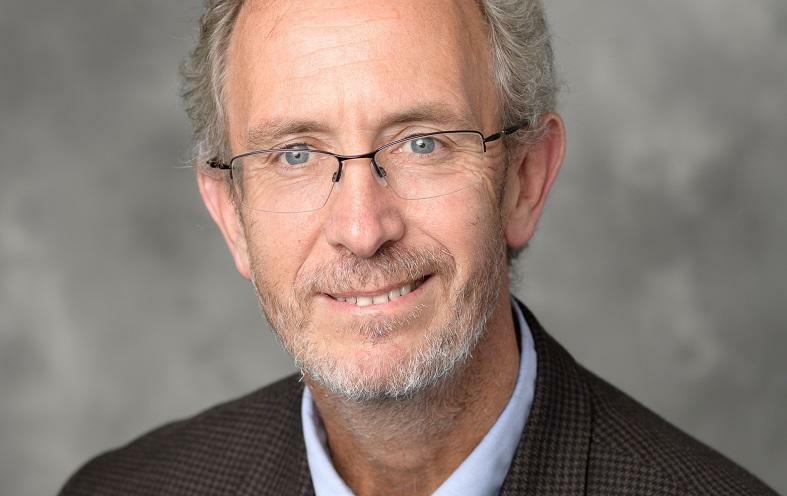 Enjoyed our interview with Jonathon Day of Purdue University, on sustainability trends and challenges at destinations, and the future of sustainable tourism research? Spread the word!